Posted by Jonathan Ebsworth on 15th June 2017 in Lifestyle. Take a look and book! Is your Dad going to want to do something healthy this weekend? Or is it something you want to encourage your Dad to choose? As far as healthy eating is concerned, sense has chosen for you its top ten healthy restaurants and cafes. 1. Farmacy—their promise is to deliver the freshest, organic, chemical free cuisine prepared using techniques and ingredients that maximise optimal nutritional health. Food to heal and nourish the body respecting both nature and provenance. We believe that food is medicine. And they are absolutely correct. The price tag particularly for the Starters is on the high end but not ridiculously so. Their healthy take on standards such as pizza, burgers, calzone and pasta is fun and whilst not fully allergen free, Farmacy does very well on the vegan, gluten and nut free path. 2. Indigo at No 1 Aldwych, Holborn—for anyone wanting a special treat, this is a 5 star experience but with a price tag that befits such a great venue. 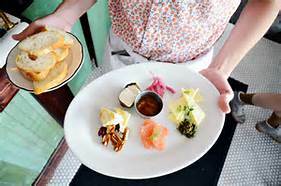 The Chef, Dominic Teague, was so determined to go dairy and gluten free that he didn’t even tell anyone he was doing it until after 3 months so his regulars could opine without being affected by the “stigma”. They all agreed it was fab….and we would agree. 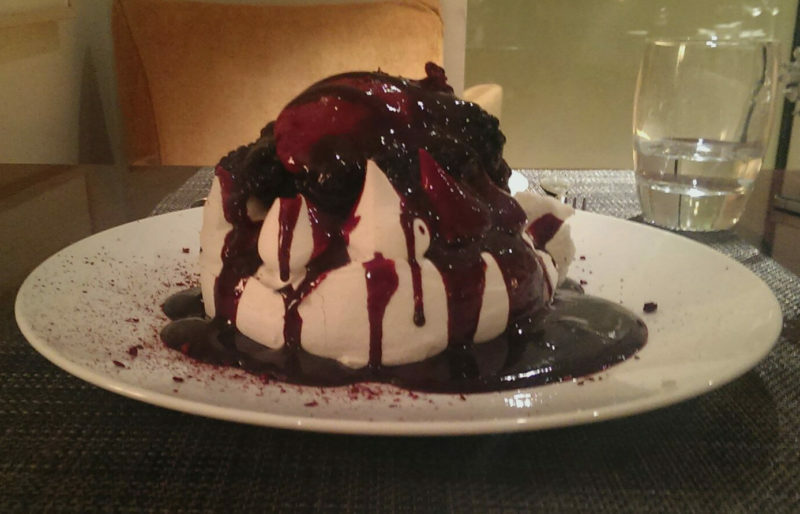 Try the blackberry pavlova, for example, with lashings of coconut cream…fantastic. 3. The Good Life Eatery (3 locations) — With a Californian beach café vibe in upmarket locations, it’s an ideal place to enjoy a relaxing brunch, working lunch or a slice of sugar-free cake and cup of lemon tea if you are out shopping for something special. If you’re watching your waistline, Good Life Eatery makes it less of a chore by offering classic options such as the Skinny Royal and Skinny Benedict, swapping indulgent ingredients for lighter ones. So if you are out shopping in Knightsbridge or Marylebone, take Dad along. 4. 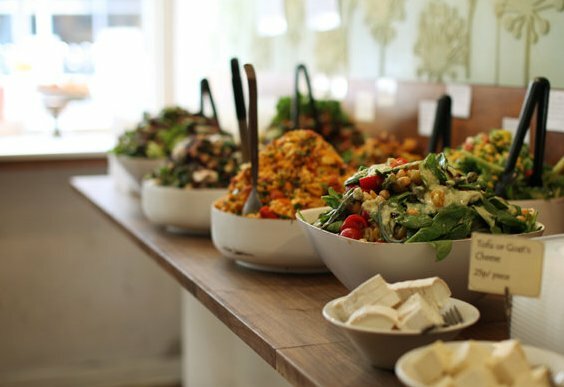 Mildred’s (3 locations)- Soho, Camden and Kings Cross – Mildred’s don’t profess to be the healthiest across the menu and they are not however for ages they have been the go to vegetarian restaurant in Soho. They do have fantastic healthy and allergy free options though, namely a great Asian stir fry and wholesome sweet potato and peanut curry. You cannot go wrong with their beetroot burgers either if you can stomach a bit of gluten from time to time! 5. Wild Food Café, Covent Garden—this café/restaurant is fantastic and has gotten even better over the last 12 months. Deserts are fantastic with coffee and great to pop into for mid-morning or afternoon snack. The Ayurvedic salad is a master-piece. Great organic wines too for a treat. Again for the enthusiasts try the menus on their web-site, they don’t give away all the secrets but just enough to have fun trying! 6. Nama, Notting Hill — raw, vegan restaurant and cafe that is always full so book early. Portions are generous so don’t over order. Pinnacle of healthy eating out. We really need to go back soon and don’t forget the take aways out of the fridge on the way out! For the real enthusiasts, try out the Raw Food courses, raw chocolate, fermentation, cakes and general raw, vegan cooking…amazing. 7. Rasa (3 locations) — Stoke Newington and West End – however if its curry you are after and lots of it, and we can honestly say there aren’t that many options for healthy ones…surprise, surprise…this is the first choice. On opposite sides of Church Street in Stoke Newington, one is a vegetarian and one fish/meat as well as good vegetarian selection. Kerelean cuisine uses fantastic spices, mainly mild but instead of dairy uses coconut milk instead of dairy so immediately it becomes the healthy option when you consider rice is gluten free too. Ask for other allergens and they will help you out. 8. The Black Cat, Hackney—The Black Cat is not the fanciest place in town but it is vegan and sometimes that is all that counts. 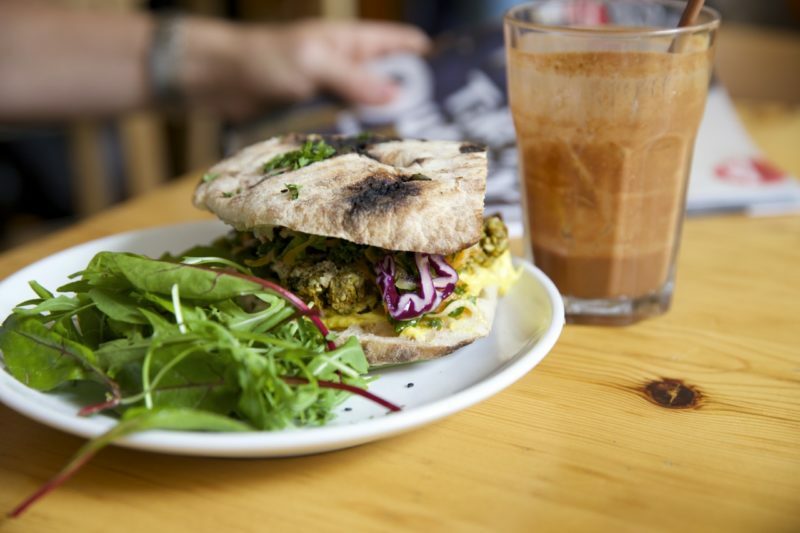 Surprisingly, it is the only vegan café we know about in Hackney so it stands out and can be found tucked away on route to Hackney Downs in Clarence Road. Great scrambled tofu for brunch, soups are amazing and specials are always great and wholesome. Compared to some of our choices you wont break the bank either. No web-site as yet just Facebook. 9. 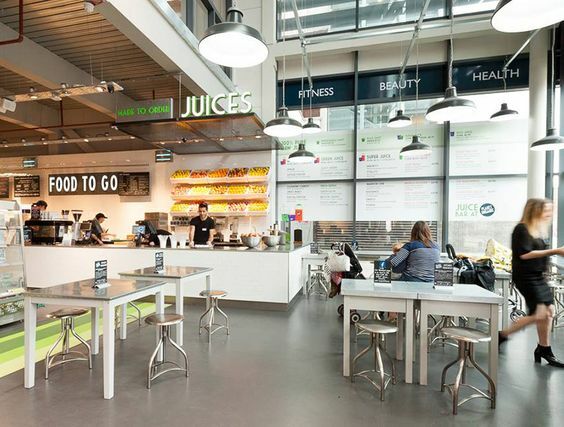 Wholefoods Market (9 locations)—whilst perhaps not everyone’s dinner choice, most outlets serve a superb selection of vegetarian, hot and cold dishes during the day and you can also tuck into a wide variety of healthier options for desert because there is so much to offer around you in the supermarket. However, don’t be fooled not everything they serve is an healthy option so some discretion and discipline is needed in equal measure. See their web-site for details of locations. 10. Planet Organic (7 locations)—this has similar vibe to Wholefoods Market but is British! In fact, they have taken on WFM at their own game and are succeeding brilliantly. One reason is that they are less minded to compromise on the healthy options so you can pretty much get what you came for. Not everything would pass the strict sense health check but more often than most. The raw salads available are amazing. See their web-site for details of locations. Go the extra mile… gift in Style!